3 Reasons WHY Your Organization Need a Strategic Plan! If You Fail to Plan You Plan to Fail! You have heard the old adage, “If You Fail to Plan, You Plan to Fail”. It’s true. How can we get to our destination if we don’t know where we are going, how we are going to get there and most importantly why we are going there? BONUS: Each attendee will receive a Take Away Handout! The chair of a nonprofit board of directors plays a significant role in ensuring the organization’s health and well-being. Although most board chairs are filled with great passion and good intentions, they need knowledge and guidance to help them fulfill their role. Whether you are a seasoned board chair wanting to brush up and learn something new, an incoming board chair seeking knowledge and skills, or a person considering the possibility of becoming a board chair, this training is for you. BONUS: Each attendee will receive a Workbook and Certificate. 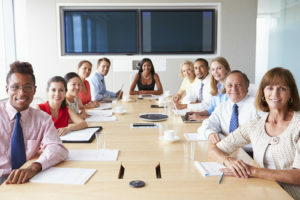 10 Requirements for Effective Board Meetings! Time is money, it’s often said, and perhaps the most valuable time a nonprofit “owns” is at its board meetings. Good organization plus sensitivity to the people and issues involved can ensure that your meetings are productive. In this 60 minute content driven training, participants will Learn 10 Requirements for Before, During and After Board Meetings.